The Adolescent Family Life Program (AFLP) and Cal-Learn Program work with expectant and parenting teens, both male and female. Both programs address the social, health, educational, and economic consequences of adolescent pregnancy by providing comprehensive case management services to teens and their children. AFLP is a voluntary program for expectant and parenting teens in the community. The AFLP emphasizes promotion of positive youth development, focusing on and building upon the adolescents’ strengths and resources. Each teen enrolled is assigned to a case manager who will help them with building their personal strengths, achieving their goals, and eliminating barriers to achieving successful outcomes. 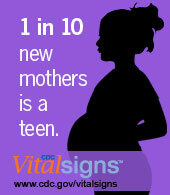 Ventura County residents who are expectant or parenting young women and men under 19 years of age.